Book your wedding shower or spa day at Pure Spa. Let us help you with our wedding prep guide. Be sure to book in advance to ensure you look and feel your best on your special day. Pure has outlined a guide for you to relieve some of your stress. Let us help you look and feel your best on your wedding day. Time to get your skin on track with a Pure Facial. Let our experienced Aestheticians help you rediscover healthy vibrant skin with our natural and organic skin care lines. Keep on track with monthly facials to maintain vibrant and healthy skin! Makeup trials. Ensure the perfect make-up for your wedding day. Unwind and rid yourself of the pre-wedding jitters with a Relaxation or Therapeutic Massage. Take some time for the two of you before the big day and receive side by side massage therapy in our couples treatment room. Time to shape those brows to achieve that perfect arch. Includes brow shaping, brow and lash tint. Now is also the time to get your body ready for your honeymoon down south with a bikini or brazilian wax! Any other waxing should be done now as well. Get your skin shining with an Antioxidant Body Polish or a Blueberry Soy Slimming Wrap . This will remove all dry, dead skin and leave a radiant finish. Partner this with an Express Facial perfect for a bride so your skin will glow for the big day. Receive a Pure Manicure or Shellac Manicure with French polish or keep that perfect french look even longer with a set of Gel Nails. 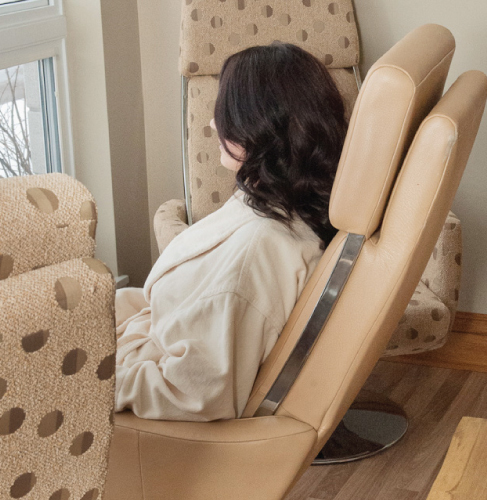 Then sit back and relax with a Pure Pedicure or Shellac Pedicure in our massaging pedicure chairs. Perfectly executed makeup application using Arbonne Skincare products that are pure, safe and beneficial for your skin.